Make a fun statement with the Hello crossbody. 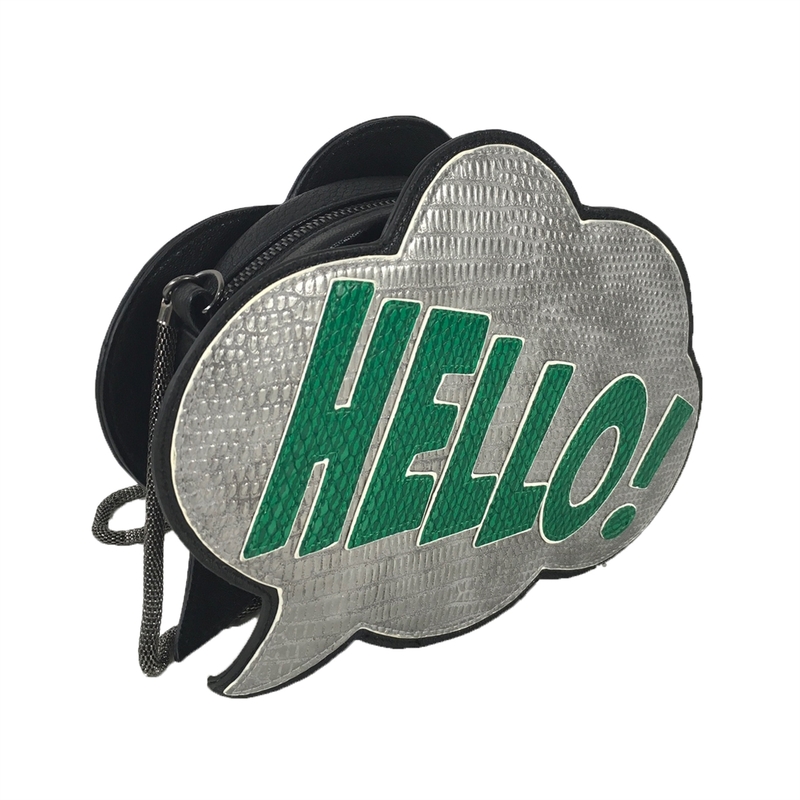 Its a perfect conversation piece, and it will hold everything you need for a fun night out. 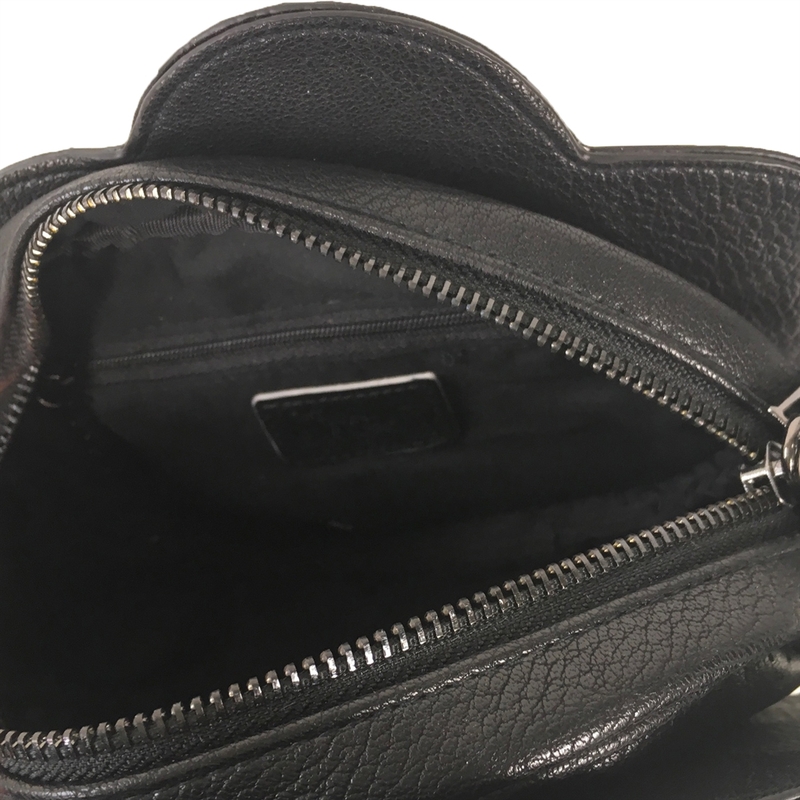 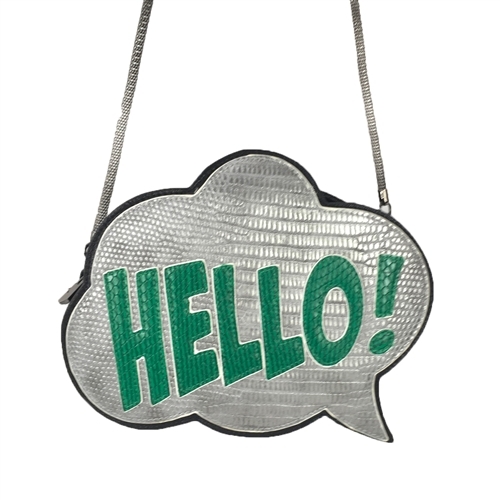 Crossbody bag shaped in a speech bubble in croco embossed vegan leather. 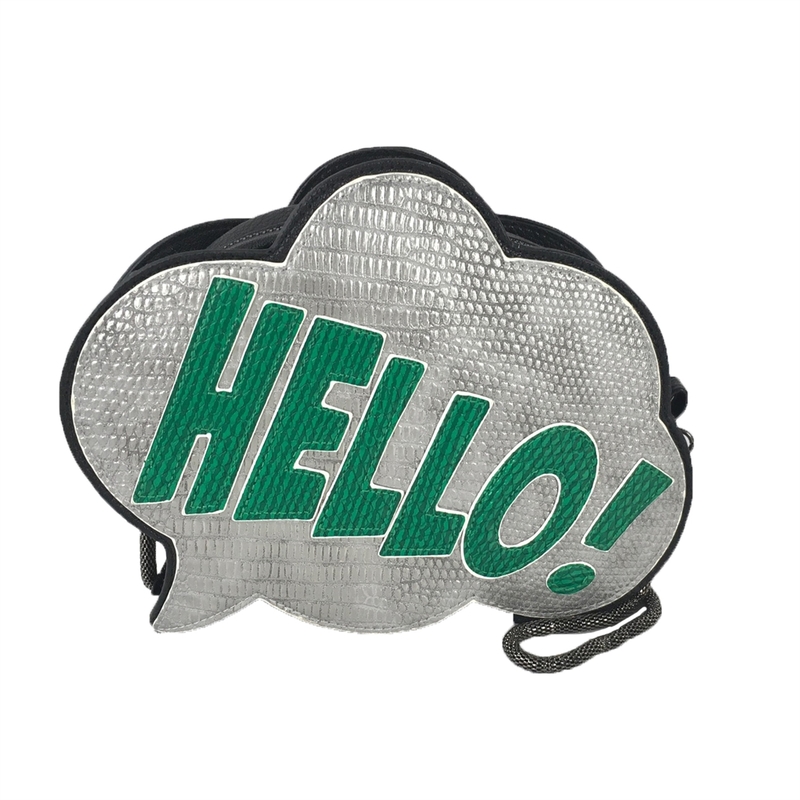 Green Hello text on both sides.